Keeping the variegated demand of our customers in mind, we are involved in offering a supreme quality range of Copper Bottom Handi. 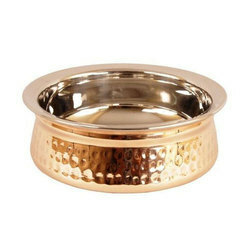 This Copper Bottom Handi is made with fine quality of material and its unique design give steady working to the product for long period of time. We are counted amongst prominent and leading industries for offering a large range of Biryani Handi. 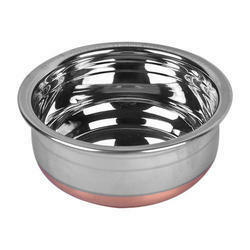 As a trust worthy organization of this domain, we are committed to offer our clients a superior quality assortment of Copper Handi.